Operating Agreements | Schlueter, Mahoney & Ross, P.C. An operating agreement is one of the most vital pieces of personal liability protection a business owner can have. Operating agreements govern the internal workings of your Limited Liability Company (LLC) and protect the governing members from personal liability. The operating agreement also sets forth in writing the terms the members have agreed to and protects your business from the state’s default operating rules. Although it remains in-house and does not need to be filed with the state, once all members have signed it, the operating agreement becomes a binding contract. As such, it is one of the most important documents your LLC business needs. The nuances of setting up an LLC and drafting documents such as operating agreements can be complex, and may require delicacy due to member relationships. These are just two reasons why it is a good idea for an impartial third party to draft the operating agreements for your business. The attorneys at Schlueter, Mahoney & Ross, P.C. 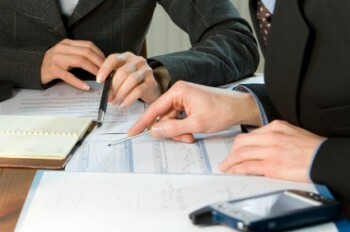 in Denver, Colorado can aid you in drafting operating agreements. Our lawyers have been representing the Colorado business community since 1989 and can guide you through all of the technical steps of setting up your business. We can assist with the preparation of business documents, including articles of incorporation, drafting operating agreements and many others.